I found a Walmart that carried them! hehe these are cuute I might have to get one if they pop up over here. 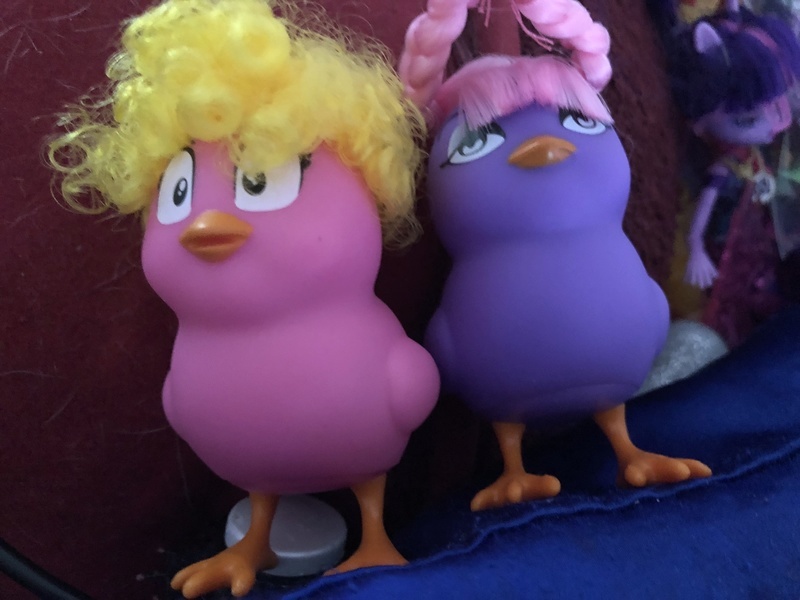 your chicks are so CUTE Nemesis!!!! Thanks to Konzern I got some too!!!!!! OMG that blonde one (Carol Ann?). I need her!! HA! Yep thats Carol Ann...I keep hearing the mother from "Poltergeist" calling "Carol Ann....CAROL ANN!!!! "...She IS super cute ain't she? I'm totally addicted and need more!!! There was one left at our Walmart, so we had to save her. We went to another last night and there was a nearly full case, but some had been opened. I grabbed one, and the only one from a case not at our store was a dupe! We went out of town again yesterday and my sister grabbed another box. This is Fanny Chick! EDIT: Walmart put out another box! These are so cute! I saw them at our walmart but havn't picked any up yet. Not sure if I'm going to. 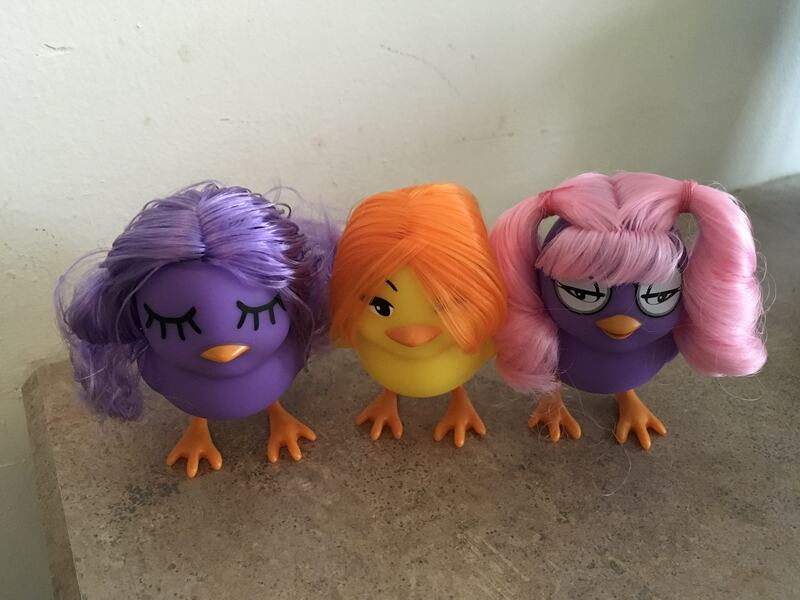 Thanks to heftysmurf76, my sister now has four purple chicks: Maria, Fanny, Amanda, and Gertrude. Our Walmart has knocked these down to $3 a box. We didn't figured they'd be a big hit, but my sister is a little sad since she likes them so much. Yeah they really dropped the ball with these. There needed to be more color variations and maybe a special one to chase after. Or at least rarities. I kind of figured if they did a second wave, it would have more variety, but it doesn't look like that'll happen. Maybe I can at least get up the ones my sister wants. There is a Series 2 but they are just as bland and the packaging looks almost identical to Series 1. Wow, so they just swapped the hair and faces I guess.